CarGurus has 1,892 nationwide 6 Series listings starting at $4,450. 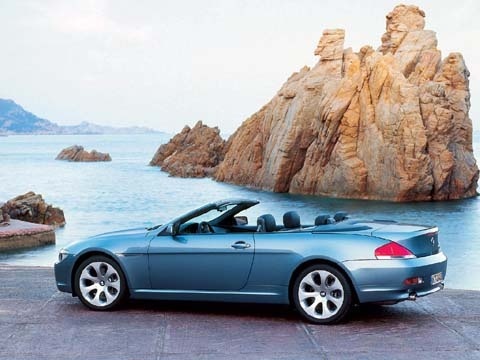 Introduced in 2004, the sporty BMW 6 Series two-door coupe and convertible receive a design refresh for 2010, as well as a slightly longer wheelbase, a roomier interior, and a new driver-oriented cockpit. In addition, the convertible trim now comes equipped with a new power-folding hard-top retractable roof similar to the one currently offered on the BMW 3 Series convertibles. New exterior design features include a revised front fascia with a wider grille and updated headlights, while the sport-tuned suspension offers a new damping system with four driver-selectable modes, from Performance to Comfort. Xenon adaptive headlights, halogen foglights, and rain-sensing windshield wipers are among the standard exterior features. Based on the higher-end 5 Series trims, the 2010 6 Series delivers plenty of power, thanks to its 360-hp, 4.8-liter V8 featuring BMW's EfficientDynamics, which reduces fuel consumption and CO2 emissions, yet ensures dynamic performance. The engine links to either a six-speed manual transmission or a new optional eight-speed automatic. Active Roll Stabilization, antilock brakes with brake assist, all-season traction control, and stability control are among the 6 Series' standard features. Inside, the 2010 6 Series comes equipped with Dakota leather upholstery, eight-way power-adjustable front seats with four-way power lumbar support, a leather-wrapped sports steering wheel, and a power sunroof for the coupe. An engine start/stop button, Dynamic Cruise Control, and a voice-activated navigation system with real-time traffic information also come standard. Bluetooth wireless technology and an eight-speaker audio system with HD Radio and an MP3 input jack are among the communications and entertainment features. Safety features include front-seat side-impact airbags and knee airbags. What's your take on the 2010 BMW 6 Series? 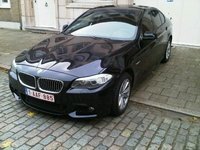 Have you driven a 2010 BMW 6 Series? I have a 2010 650i and I receive the message, “high battery drain”. After a few minutes the radio will shut off and I get a message “sos call system malfunction” Any ideas?